McNett Sea Buff is a specially formulated pre-cleaner for new dive masks and an effective dive slate cleaner. Sea Buff carefully removes residue left on new dive mask lenses by the manufacturing process and prepares the surface for the first application of Sea Drops or Sea Gold anti-fog formulas. Sea Buff also removes other residue accumulated on masks while diving or during storage. Mask fogging is a normal occurrence, even after the film of silicone and release agents has been removed. Normal fogging can be easily prevented with after market anti-fog agents, saliva, or baby shampoo. Rub onto the lens and then rinse. Your dive mask should now be fog free! If it's not, you'll need to go back and clean your diving mask again as described above. McNett AquaSeal Sea Gold Anti-Fog Gel is the clear choice in anti-fog gels for dive masks. The unique clear formula means long lasting anti-fog protection. Sea Gold is highly concentrated and designed for quick, simple, in-field application. Sea Gold is safe for all glass and plastic lenses and will not harm surrounding silicone or rubber support frames. The mask lens needs to be very clean so fog doesn't form. (Have we mentioned that enough times already?) Every once in a while it doesn't hurt to also clean the outside of the mask lens. It won't help to prevent fogging but you'll see better if the lens is clean on both sides! Surfactants like McNett Sea Gold, and McNett Sea Drops can be used. Both approaches work equally well but require different application methods so it's mostly a matter of personal preference. While we should be trying to sell you the 'you beaut' commercial solutions, our preferred pre-dive anti-fog is spit. Spit on the inside of the mask and rub it around with your finger. Dunk the mask briefly in either fresh or sea water. The goal is to leave thin layer of saliva on the inside of the glass. Spitting does not work well if the mask dries out before diving or snorkelling, so use this technique immediately before entering the water. Another do it yourself pre-dive solution is baby shampoo. Baby shampoo can be used just like commercial defogging solutions. 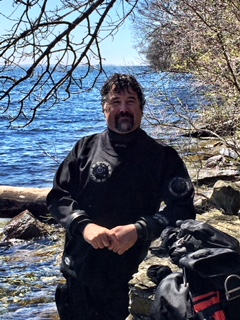 Many divers carry a bottle of 50/50 watered-down baby shampoo with their dive gear. A few drops rubbed into the lens and then briefly rinsed out just before the dive will keep a mask from fogging. We know people who prefer to apply baby shampoo neat onto the inside of the mask lens when the mask is dry just before putting it away for storage. Then you just give it a quick rinse before you dive. Baby shampoo is preferable to standard shampoo, as it is generally hypo-allergenic, less irritating to eyes, and biodegradable. Baby shampoo usually smells good, too. 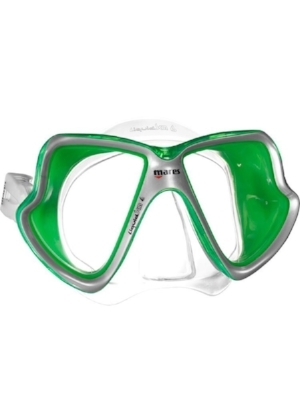 For a large range of Masks for all conditions visit the Masks section at O2ToGo Dive Centre. There you'll find a wide range of mask types, plus mask accessories.